Bonny Macnab has been an artist all her life. Growing up on the west coast in Canada she found out in school that she excelled in art and all the variations of creativity it had to offer. 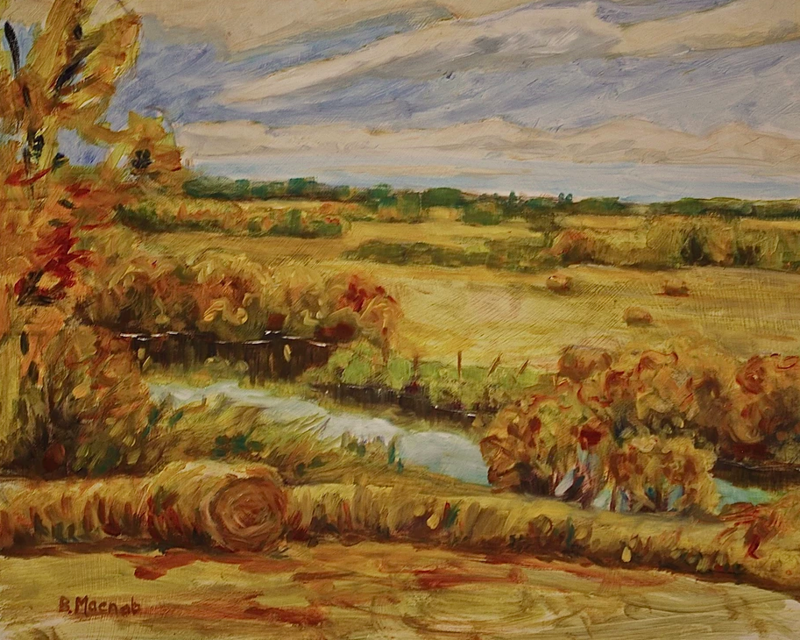 After graduation she moved to Saskatchewan where the wide open space, close proximity to the beautiful boreal forest, and long winters provided the perfect opportunities to develop her skills. Bonny sought out many artists she admired from all over North America and studied with them to develop her natural skill. She demonstrates a highly developed sense of color, distinct design and keen attention to the spirit of a piece of work as a whole. She says, “I am so blessed to have this intimate relationship with the earth and people through my art. I get to be in the moment. Art is a prayer that inspires me daily and I am able to share it with the viewer.” She has been able to carry these techniques into dying silk and finds that the silk provides another dimension to her work through the transparency and movement of the fabric.